Small and medium sized businesses and sales/marketing teams in bigger businesses. 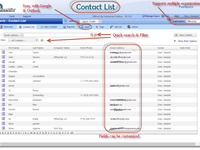 OfficeClip Contact Manager lets you keep all your contact related information at one place. 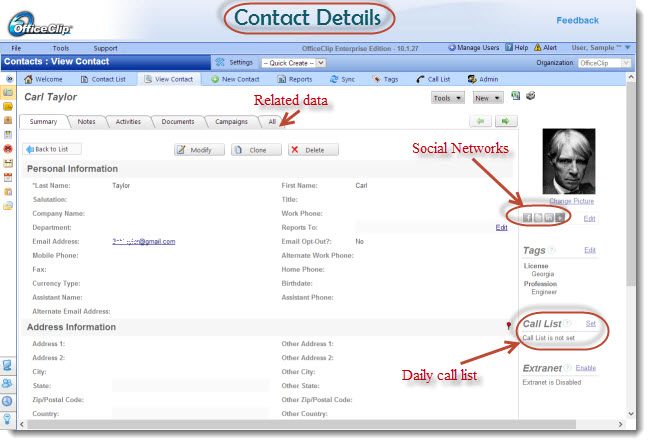 This allows sharing contacts easily with your co-workers, track activities, related documents and daily call list. 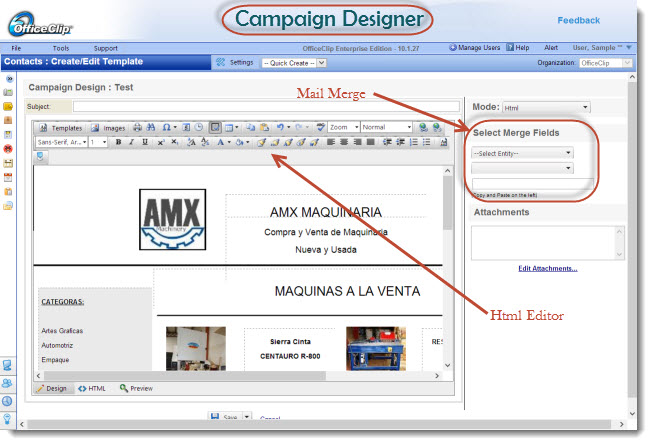 Campaign module allows keeping in touch with contacts. The workflow module automates repeated tasks for each contacts and the invoice application allows sending invoices and receiving payments from your customers. OfficeClip Contact Management Reviews Recently Reviewed! Pros: - Not everyone likes subscription-based services and not everyone likes being stuck only in the cloud to work in software. OfficeClip has the forethought to offer a cloud-only subscription-based platform and a desktop only pay once version. - OfficeClip's customer service has thus far been an above par experience. Every query I have sent their customer service has been responded to promptly and in full detail. - I have tried many of the top-notch contact management platforms and this one is by far the easiest and most thought out platform I've used yet. - The customization level of OfficeClip, is in my opinion, superior to any of the other platforms I have used. - The layout is presented in an easy to use, non-confusing manner. - The learning curve on this platform is minimal. I had what I needed up and going in OfficClip and understood the layout and methods within minutes of first using OfficeClip. The competitors felt clunky and had a learning curve I simply don't have time for. Overall: I use the CRM part of the software that includes Contacts, Accounts, Opportunities and Invoicing. We are pretty happy with the platform, features and customization capabilities with the software. Support is top notch! Recommendations to other buyers: You need to decide first whether you need the cloud based on install based software. Try the basic edition first which is free. Pros: Office Clip allows you to enter as much or as little as you want to and keeps it well organized. It has lots of custom features so you can add fields that are relevant to your process or business. 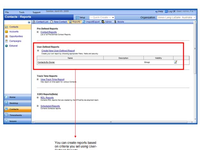 We track our client activity, set deadlines, track samples, and generally keep our contact information in Office Clip. We can then all view it at our desk or on the go. Each user can share as much or as little as they want. Cons: I wish the mobile version fit a little cleaner on my Samsung Note 9. It's still functional, but not as easy to use as the desktop version. I'm generally just getting names and numbers when I'm on the mobile version, so it's not critical. Overall: We used to use Act! and I was disappointed with it. The software was a processor hog and was not overly helpful in how it was laid out. Office Clip has allowed us to clean up our customer leads database, track it easily no matter where we are, share information with our whole team, and do it for a great price. We've had a few questions and minor issues over the years and tech support is very fast, friendly, and responsive. Thanks for your review. Please try the latest version 10.6.4 with the mobile. It has been redesigned to fit the mobile screen better. Please contact us for questions. Pros: I like the ease of use when it comes to reporting. 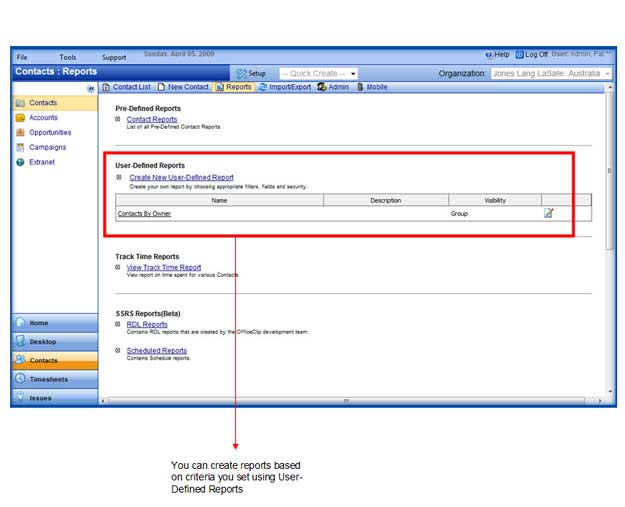 OfficeClip reports has reduced time to produce the reports and has also increased the accuracy of reports. From discussions to installation and training, it was a pleasurable experience working with OfficeClip. The implementation was well planned by the OfficeClip team, the training delivered by Dutta was professional and when completed we were confident of using the system. For few things where we required support initially, they had their help manuals and videos available online which made the system easy to understand. For other support the OfficeClip team was very helpful and always made sure that our issues were dealt with quickly. Cons: In calendar agenda needs a delete button where we can select events not required and this will delete the events faster otherwise it takes a lot to time to delete the events one by one. Overall: OfficeClip CRM has suited our business very well. The sales process has become easy. 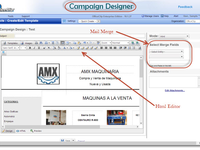 Integration with emails and web forms enables us to improve the speed of responses to questions of potential customers. We are using the cloud version of the product. Pros: I have seen improvements over the years with access and speed. The over all feel is good. It is better than other software companies. We have used in the Microsoft products and were pretty much disappointed in support and speed. Cons: It needs the capabilities to attach email or docs to specific records. This would be a great enhancement but overall speed of refreshing to the next client. Also to have the save button in 'actions' and 'modify' in more than one place. Overall: The team has always been responsive to my needs . . basically they get right on it! Happy with staff and management! Thank you for your review. 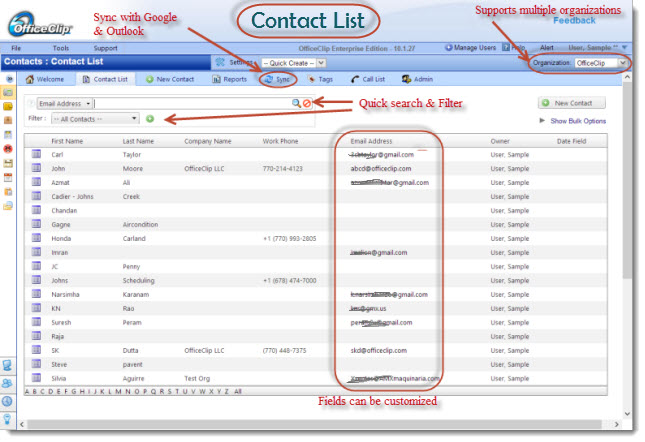 In the new version we have the capabilities to attach emails and documents with entities like contacts, accounts etc. Please contact support and we will provide you with the information. Pros: Lots of functionality for the money. Many different modules to apply to many parts of a business. We use invoicing and online payments using Blue Pay, CRM for both marketing and existing customer service, we capture marketing info from web forms, store and share documents and drip marketing. Once you get to know the software you can do a lot. Cons: Software can be confusing because of it's broad functionality. Sometimes there is not consistency between the same functions in different modules of the software. Now keep in we use it for everything it was intended for and some things the designers never intended. 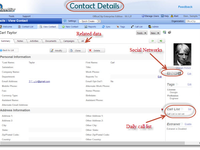 Pros: Integrated contacts, accounts, invoices, emails and scheduled appointments. Also a password protected portal to share limited information with customers (for example their tax returns). 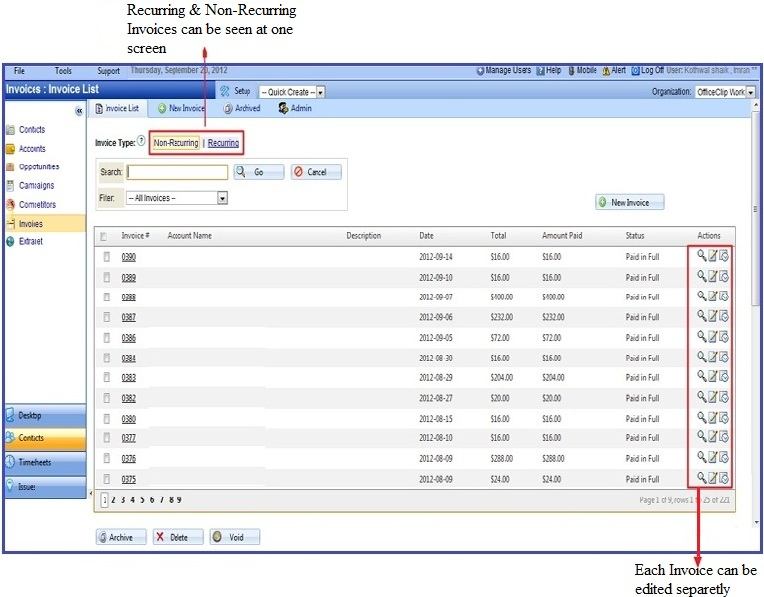 Ability to define multiple organization to isolate data. Cons: We would like to see more integration with Google Drive and Dropbox. Overall: We are an accounting firm specialize on personal and corporate tax returns. OfficeClip is installed on our private cloud for security reasons. 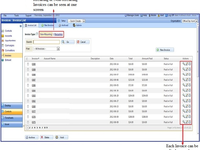 We are using invoicing, document sharing and all other CRM features. All our contact notes are now accessed from the same place using desktop or mobile. Pros: It is very easy to use. You can customize the software to serve your office needs. The sofware also has different features like reminders, tasks and events. Cons: There is not one thing that I do not like about this software. It is great and always coming with new updates. Thanks for the review. Appreciate it! Pros: Their customer service is what sets them apart from other CRM's we tried in the past. They always go an extra mile to make sure that they give us their 100%. I mostly use it more on my mobile than my PC. It is good for people who need to handle their business while travelling a lot. Cons: An auto save option would be great. Overall: The ease of use, functionality and value of this product helps save us lots of time. We use it to track our prospects. It is easy to load new contacts and then sort them using tags. Assigning tasks to the team, adding events and updating information helps turning prospects into customers. It also facilitates integration with the social media and Google. Office clip a reasonable solution to customer contact. Comments: I am not a power user of office clip. I use it principally to keep information on customer contacts. I am sure that it could be put to better use if I knew better how to use it. Pros: Meets all of my needs. Cons: Printing one label at a time using Dymo. Need more printing options. Overall: Office Clips is Easy to use and maintain. All support and technical questions answered in a timely fashion. The product can be adjusted to meet most of the needs of a small business or non profit. I am happy to recommend the software to my friends and business associates. The product is affordably priced and user friendly. We have customized many of the field names and also added several to best meet our needs. Good Job Office Clips!!!!! Recommendations to other buyers: Keep on improving the functions of the software. Pros: it's free! perfect for a new non-profit organization that needs to have a contact manager. lets me review the activity of intern. Cons: - Takes some training to understand use. - Limited customer service for free version. Overall: We use OfficeClip to manage our Community Partners contact information. OfficeClip allows us to keep the contacts organized and accesible. We like the ability to have multiple users. Thank you for the review. Please contact the customer support with the details of the screen that gets locked sometimes. Comments: had lost account login information, Support was easy to access and provided secure and fast solution.